Go to www.active.com and log in with your username and password. Select ‘MyEvents’ from the name drop down box (top left) once logged in. Select ‘Convict 100’ and you will be able to add your products. 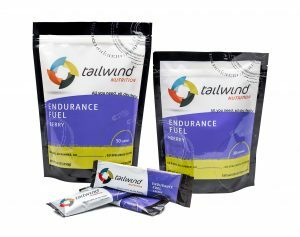 Looking for a memento of your efforts at the Convict 100 in 2019, or looking for help to make you look ‘pro’ on your local trails? 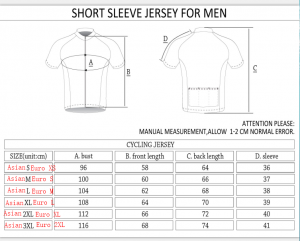 If so the official Convict 100 race jersey is for you! 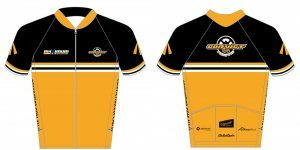 Available when you enter the event, this limited edition jersey will feature Quick Dry active protection, silicone grippers and a full length zipper for those long summer rides. The Convict 100 jersey is available on pre-order only up until midnight Sunday 31st March 2019. 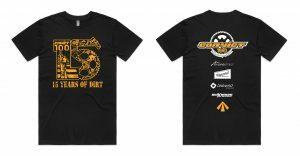 Jerseys will be available for pickup at the event. They are priced at $80 and can be pre-ordered when you enter the event or added to your entry at a later date. Get yours today! 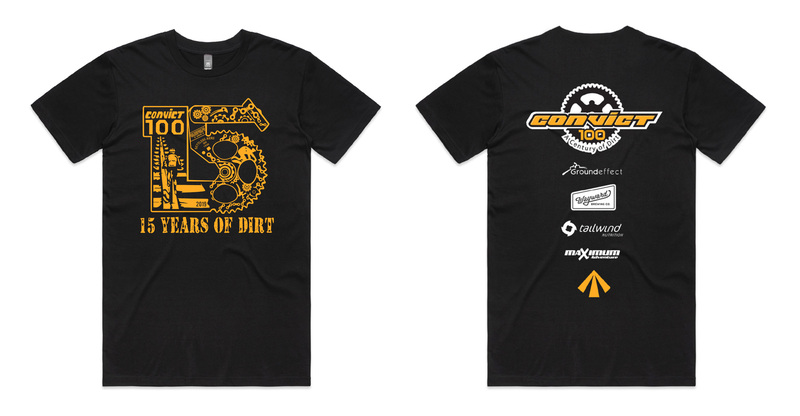 The event t-shirt is available on pre-order up until midnight Tuesday 16th April 2019 and will be available for pickup at the event. They are priced at $40. They can be pre-ordered when you enter the event or added to your entry at a later date. 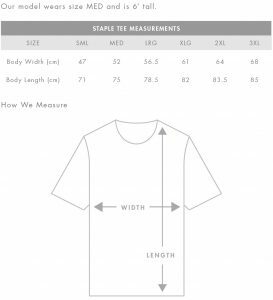 The t-shirts are euro (fitted) cut, if you are used to or prefer a traditional style t-shirt you should probably order one size up. 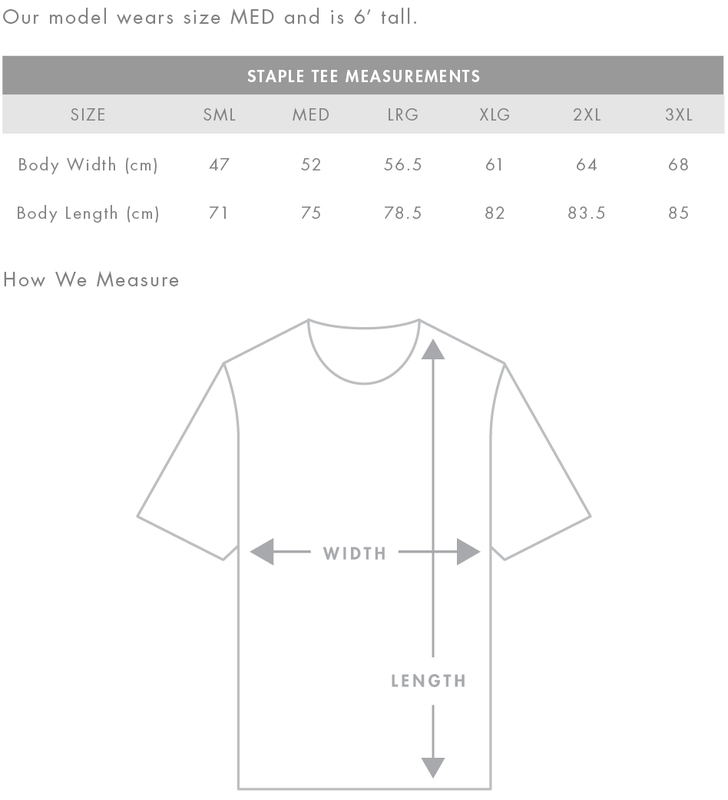 Refer to the size chart below for exact sizing. Disclaimer: This is an approximate guideline and reasonable tolerances for manufacturing is to be allowed. 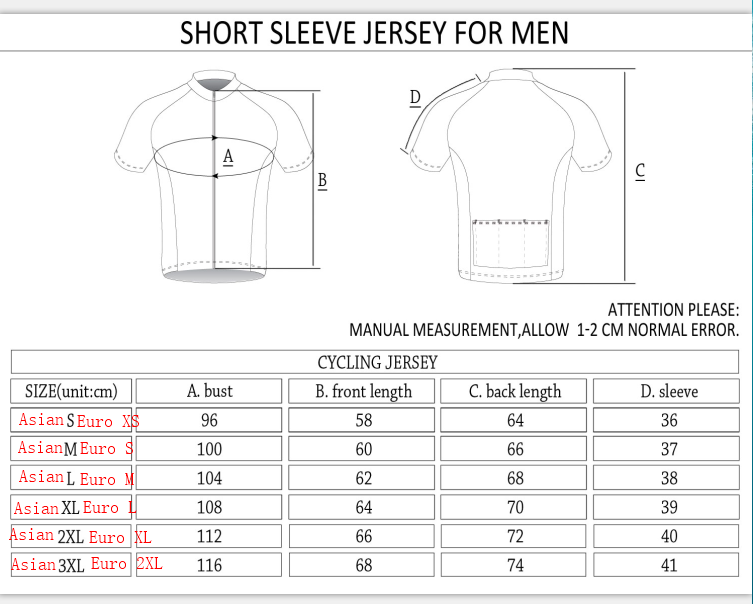 A sizing chart is available below when ordering to assist you with your selection. Please note all merchandise orders are only available for pickup at the event. We do not offer delivery as all items are only manufactured within a few weeks of the event date. 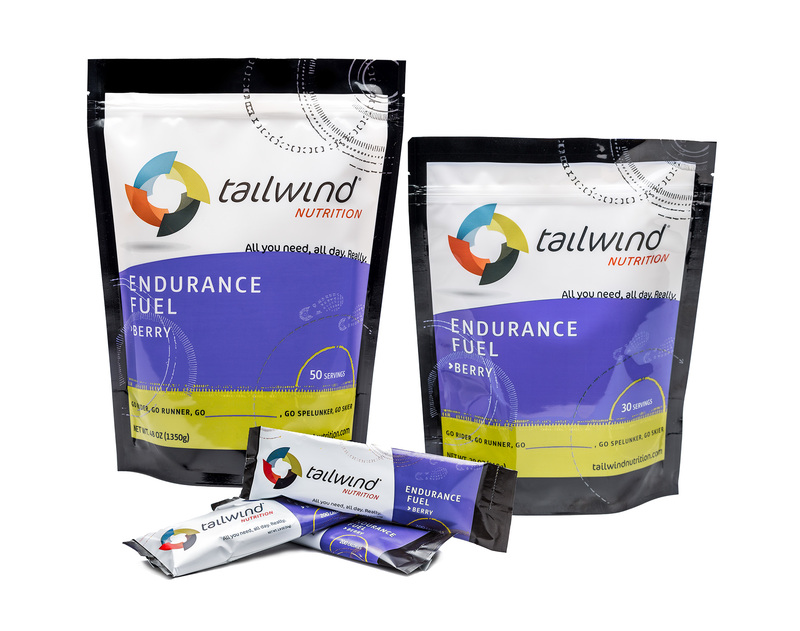 Tailwind Endurance Fuel is available on pre-order (via your Active.com entry registration ‘MyEvents’ portal) and posted up until Sunday 28th April 2019. Alternatively this product may be collected at the event. You will need to select the ‘Posted’ or ‘Event Pick Up’ option at the time of purchase.